The painting featured here is a recent purchase made possible by the Stirling Common Good Fund and the National Fund for Acquisitions. 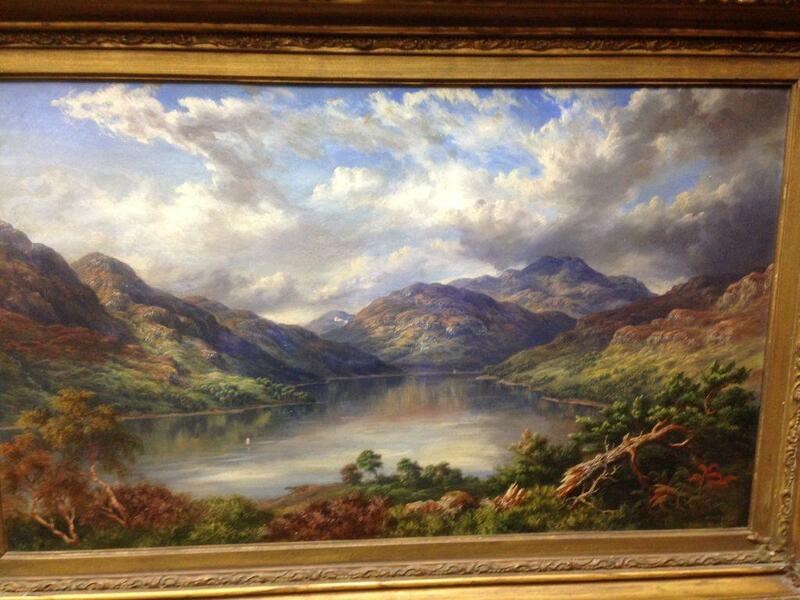 It is by the eminent artist and Stirling resident McNeil MacLeay (1806 – 1883) and was painted in 1868. The title, in the artist’s hand, is inscribed on the back of the frame: ‘Loch Earn from the East with the hills of Balwhither (sic) in the distance’. MacLeay was born in Oban, the son of writer Kenneth MacLeay. His older brother Kenneth, who was also an artist, was a founder member of the Royal Scottish Academy in 1826. Both of them loved to paint landscapes and their works are highly sought. McNeil MacLeay painted many Highland scenes. In 1840 he travelled to the Rhine to paint similar landscapes. He settled in Stirling in 1848 in a house in Lower Bridge Street, where he lived until his death. The Smith has a view of Stirling Castle and another of Loch Awe by him. Five of his works are in Perth Art Gallery. I have 2 of MaCleay’s gouache paintings and very fine they are. I gather that he was also an early photographer. Does anyone have any more information about this?